Six of the 2017 champions returned this week to the Amendoeira Golf Resort, in Silves, to celebrate the 10th edition of Oceânico World Kids Golf, the most important international junior golf tournament in Portugal. Portugal’s Ines Belchior (U-10) and Ana da Costa Rodrigues (U-12), England’s Sarah Mardani (U-14), Britons Luca Randall (U-9), Oscar Lent (U-10) and Owen Meeds (U-16) are the last year’s champions who returned to the Amendoeira Golf Resort to defend the title, although some of them have, however, moved to the upper age group. Oceânico World Kids Golf was, until 2017, the only Portuguese junior tournament to count towards the R&A Amateur World Golf Ranking, and this year, althought other events already offer ranking points, the tournament made several partnerships to keep a Major status. The Tournament Golf College (TGC), for instance, brings athletes from its school in England and promotes abroad the Portuguese tournament. Another exemple is provided by the PGA of Portugal, that gives the U-18 champion an invitation for the 2019 Amendoeira Classic, a Portugal Pro Golf Tour event, with a prize-money of €10,000, with “pros” from all over Europe. And another sign of this tournament’s strengh are its several partnerships with prestigious media, which allow it to have a very good media coverage, including broadcasts on Sky Sports in the UK and SportTV (via CN Sports) in Portugal. 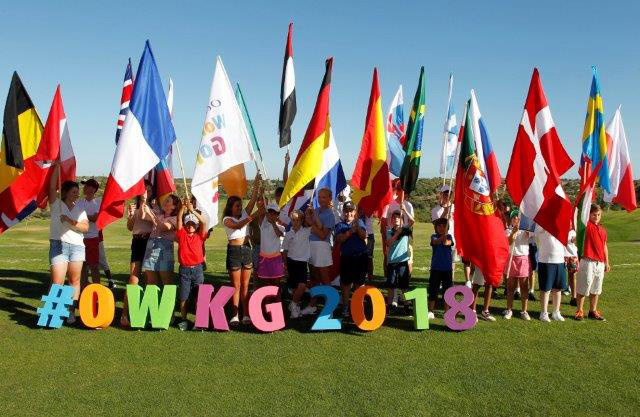 Oceânico World Kids Golf continues to grow and to consolidate its position and its 10th edition incrised the numbers of players (147, from 136 last year) and represented countries (17 from 13 in 2017). Taking into account that it is a key event for Tourism in the Algarve, bringing hundreds of people for a week to Silves, it is worth noting that there are athletes from Australia, Austria, Germany, South Africa, Belgium, China, Scotland, Spain, France, Holland, England, Ireland, Norway, Portugal, Poland, Wales and Switzerland. The players bring their families and coaches in a mix of a holiday environment with a high level competition. After a few practice rounds and the first two rounds of the competition, several were the young players who spoke about these good playing conditions, especially the British who made several comparisons with the much drier courses they have played in recent times, due to the drought which has plagued the UK in recent weeks. Ela Clark, the presenter of the World Golf Awards, who this year serves as the official speaker of the tournament, also recalled at the opening ceremony that “The Faldo Course received in 2016 the award for best golf course of the year.” It is not every day that most of these youngsters have the opportunity to compete in such a tough and challeging course as this one designed in the Algarve by former world No. 1 Nick Faldo. The first two days of competition already took place under the heat, with temperatures temperatures exceeding the 30 degrees Celsius (86 Fahrenheit) and little wind. 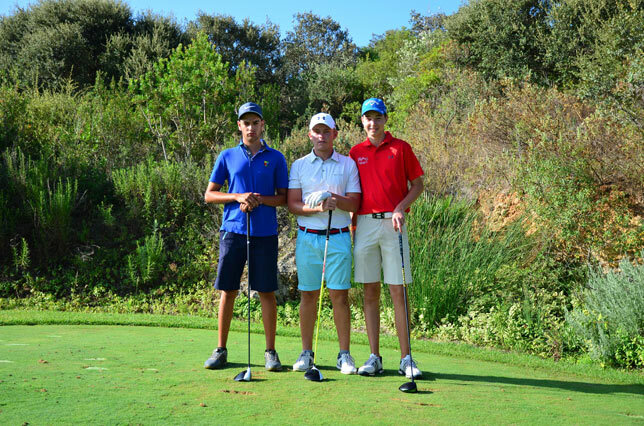 In the evening of the second day, at the Par-3 9 hole course of the Amendoeira Golf Academy, it was held the Parents & Children doubles competition with a very special host, the English professional player Rebecca Hudson, a four times winner on the Ladies European Tour. On the third day all players are invited to rest, to do some tourism and to attend the 10th edition Party with several activities for youngsters and children. And they, by Friday, things will get serious again, with the last round of the Oceânico World Kids Golf. U-9 – The Portuguese Maria Francisca Salgado, 9 points (4+5) stableford gross, +35, and the English Jack Dirkin, 43 (22+21), -7. U-10 – The Spanish Yago Horno, 66 (31+35), +6. U-12 – The English Leanne Kokolay, 36 (16+10), +37, and the Spanish Kostka Horno, 78 (40+38), -6. U-14 – The German Emilie von Finckenstein, 149 strokes (75+74), +5, and the Portuguese João Iglésias, 142 (71+71), -2. 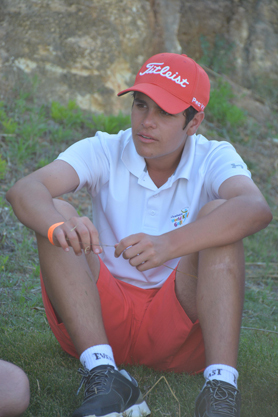 U-16 – The Portuguese Filipa Capelo, 150 (76+74), +6, and the South-african Calvin Holmes, 139 (76+63), -5. U-18 – The English Jessica Adams, 167 (85+82), +23, and the Portuguese Gonçalo Teodoro, 150 (69+81), +6. The 63 second roud, 9 under Par of the Oceânico Faldo Course, from Calvin Holmes, in a bogey free round of 9 birdies, is a tournament record in its history. What a way to celebrate the 10th edition. ← Great Offers for your Golf Holidays!